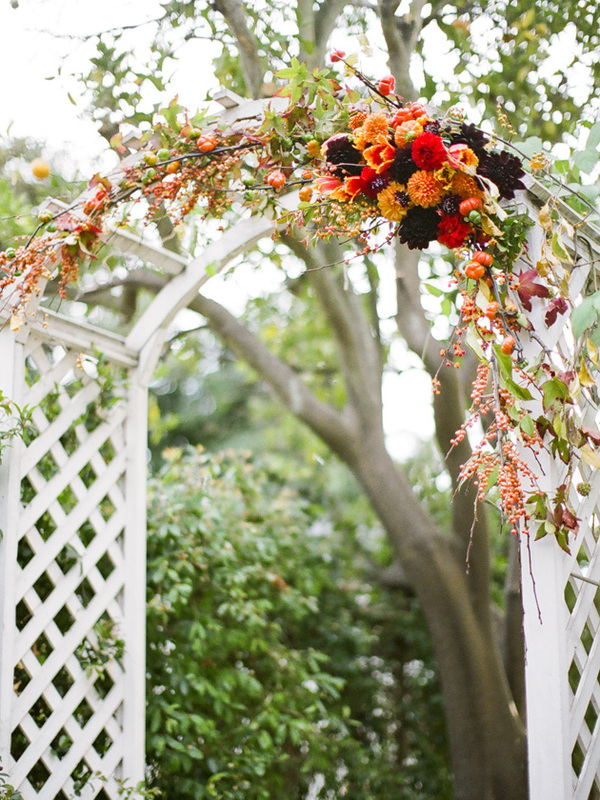 I love a good fall wedding, and for this week’s Flower Chic I thought it be fun to dress up a traditional lattice structure for a fall wedding. 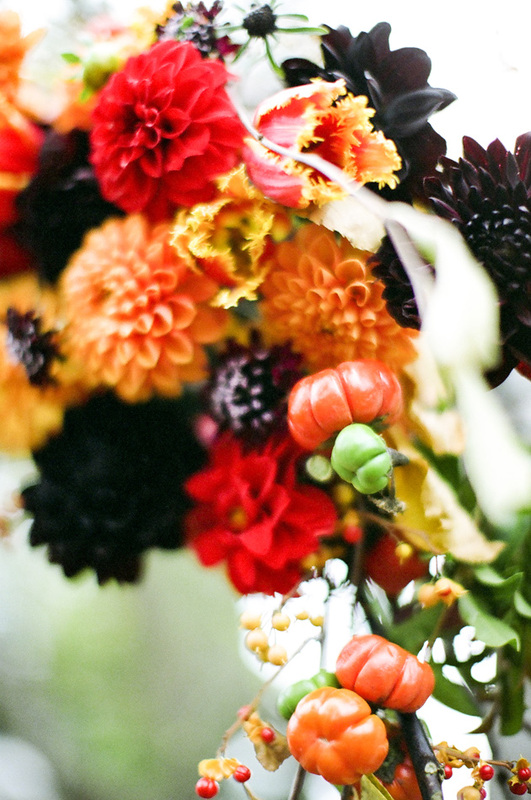 I used a palette of orange with touch of black, via some insane black dahlias, chocolate cosmos, and black scabiosa all from Florabundance. To make the arrangement, I started by wiring maple branches to the trellis to create a nice base shape. Then I wired a piece of caged floral foam to the left side of the arbor. Then I layered in bittersweet and orange berry branches. I placed my 3 types of dahlias, poppies, tulips, and then onto to the smaller flowers, the scabiosa and cosmo into the floral foam. Finally, I tucked in pieces of pumpkin branches for texture. WOW!! 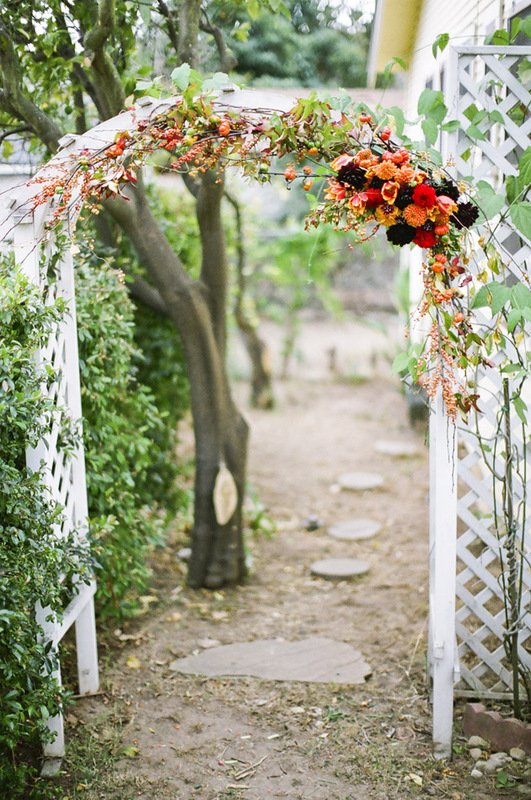 Beautifully presented… the idea of wedding “Entrance”. Sweetest and Delightful!!! Thank you for your wedding Door idears, and if your wedding is lack of a wedding dress, BrautkleiderSammlung.de can help you. 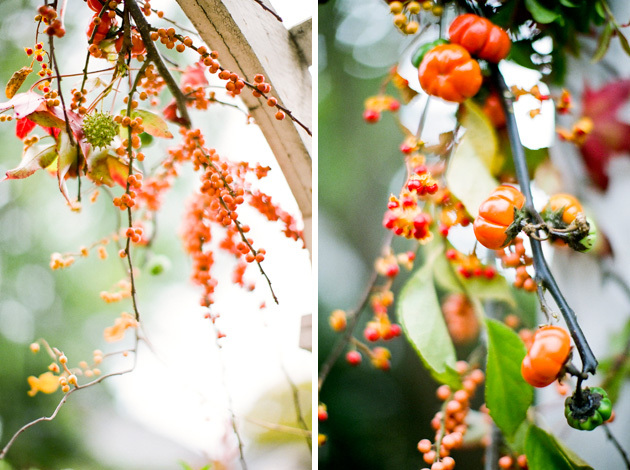 RT @KellyOshiro New post: Flower Chic: Fall Wedding Ceremony Ideas http://t.co/ikg6xck0 via @onewed << Gorgeous!